Teacher resource pack for the new GCSE geography specs (teaching September 2009). 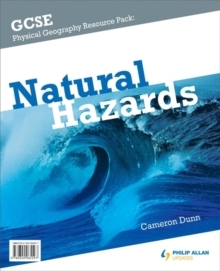 The content and approach are structured to provide teachers with resources and case studies covering natural hazard topics within the new specifications. The pack includes teacher notes and student worksheets n nine topics, with case studies, key word definitions, skills development and review quizzes. The accompanying CD includes pdfs of the content and Powerpoints of key images for classroom use.